There Is Always Something Going On At The Newportville Inn! Immerse yourself in the sights, sounds and smells of Germany. The food is prepared from scratch, the beers are brewed according to German purity laws, and the Inn has a old world feel that's hard to find anymore. We hope to see you soon for "good food, good drinks and good friends. 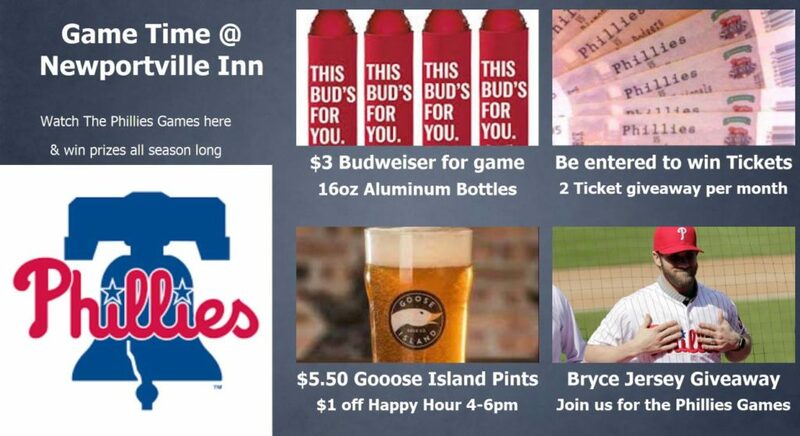 Phillies, Goose Island and the Newportville Inn Perfect Together. Join Us all Baseball season to Celebrate the Phillies and to win some Cool Prizes. Join us in May for Maibock Fest! Gift Certificates are available in any denomination at the take out store and in the restaurant. Take home a jar of our Opa's Homemade Mustard for only $4.95. It makes your sandwich taste great. It is available in the take out store and in the restaurant. Wednesday: $2.00 off our Crab Cakes, Weiss Wednesday's $1.00 off select Weiss draft. 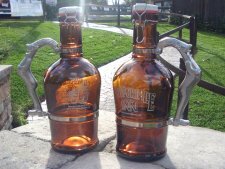 Thursday: $2.00 off Schnitzel Du Jour, $3.99 Long Island Ice Tea Pints from 9-11pm. Join Us for the Best Happy Hour in Bucks County!! 4-6 Daily except Monday. $1.00 off All Regular Size Draft Beers, Glasses Wine, Mixed Drinks and .50 cents off 12oz Domestic Bottles. We're also featuring "Buck A Shuck" Oysters during Happy Hour as well. So Come on in and Sit at the Bar and Get Your Happy Hour on!! Now Featuring "Appy" Hour from 9-10 Tuesday, Wednesday and Thursday. Half Price on select Appetizers. Specials include Loaded Potato Pancakes, Buffalo Wings, and much more. German beers on tap! Our selections are constantly rotating so you can taste the finest beer Germany has to offer. *English darts now available in the lobby! Ask the bartender for darts or bring your own! !